Situated on the east bank of the Jordan River, the country of Jordan is a destination defined by historic monuments, nature reserves and seaside resorts. This nation is home to 7.5 million residents who are renowned for Jordan’s welcoming culture. Top attractions include Petra, the Royal Automobile Museum in Amman and Berenice Beach Club in Aqaba. Get ready, because cheap flights to Jordan are now available for a limited time! The capital, Amman, is the home of Queen Alia International Airport (AMM), which is a 35-minute drive from the city centre. Jordan boasts amazing ancient sites that will surely enchant any lover of history. 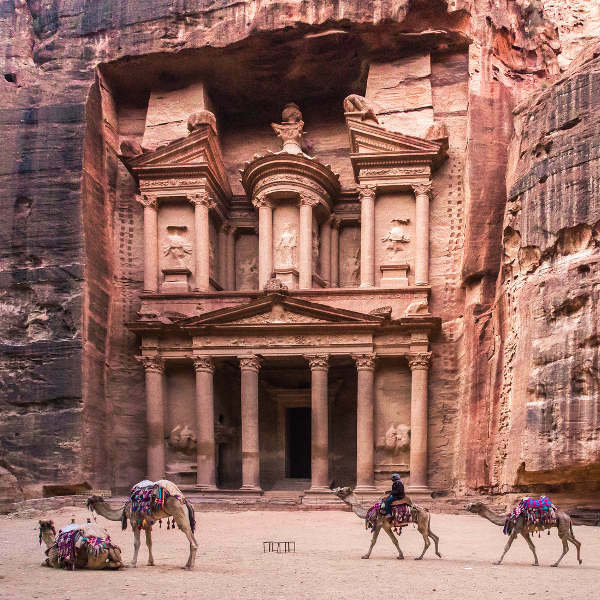 The most popular location is the city of Petra, which was the capital of the Nabataean Kingdom, dating back to 300 B.C.! While Jordan is small in size, it boasts access to the Dead Sea and the Red Sea. Visit the port city of Aqaba, which sits on the Red Sea. Enjoy wonderful views and take part in exciting watersports! 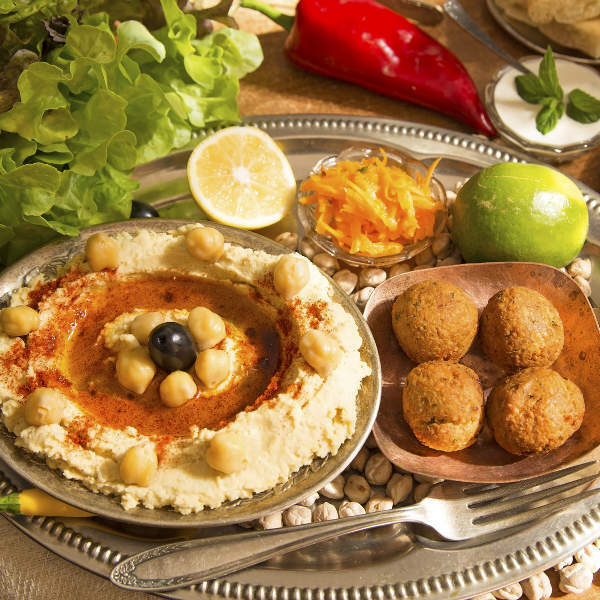 When you’re in the mood to rest your feet, settle down at one of the numerous cafes and bars in the capital, Amman, and try traditional dishes like falafels, moutabels, hummus and labneh. A good time to visit Amman is from March to May (spring), or from September to November (autumn). This is when the weather is pleasant and light. You might find it too hot or too cold if you go any other time of the year. With such favourable conditions, however, you will encounter a high volume of tourists, less availability and high hotel costs. From June to August (summer), the temperatures reach the low 30s. During the winter (December – February), the cold can be bearable, but may reach as lower than 0, and you might experience days when the air is filled with haze. These two periods will mean a lower volume of tourists, more availability and possibly cheaper hotel rates, making them the best time to visit. Jordan is the ideal place to visit to get an impression of the Middle East. With its ancient tradition of welcoming visitors, you have the guarantee of experiencing a wonderful holiday in this exotic nation. This Middle Eastern country boasts a rich history, with its top historic site, the ancient capital of the Nabatean Kingdom: Petra. This magnificent archaeological site sits in Jordan’s southwest desert. It is accessed by a narrow canyon known as Al Siq, and includes tombs and temples carved into sandstone cliffs, which are pink (thereby earning this old city its nickname: “Rose City”). The most iconic structure of the city is Al Khazneh, a huge temple that features a Greek-style façade. The capital, Amman, includes more of Jordan’s history with the Roman Theatre, a massive structure that is home to a number of museums as well as the Roman Nymphaeum. Discover more of the city’s story with a visit to the National Archaeological Museum. Amman offers more than history, with its modern atmosphere, characterised by luscious residential districts, charming cafés, casual bars, as well as contemporary shopping centres and art galleries. 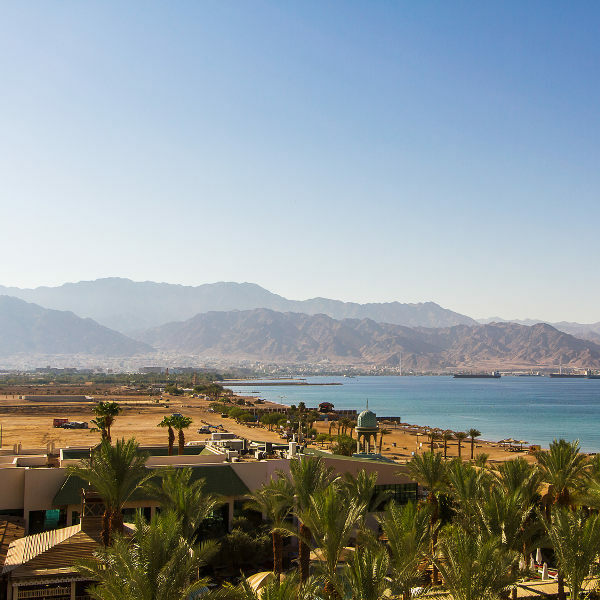 For a taste of the Red Sea, spend some time in the more relaxed Aqaba. The only port city in Jordan, you’ll be charmed by its small-town atmosphere. This destination is primarily known for its popular beach resorts which offer superb conditions for windsurfing and other water sports. Aqaba furthermore offers the opportunity for snorkelling and diving, with famous dive sites like Yamanieh coral reef in Aqaba Marine Park. The city is also home to the Islamic-era Aqaba Fort and the Aqaba Archaeological Museum. Compare several airlines and book your cheap flights to Jordan online at Travelstart! Check with a doctor about receiving all the routine vaccinations before you depart for Jordan. Additionally, you may need to guard against diseases such as hepatitis A (spread through contaminated food and water), hepatitis B (spread through sexual contact, contaminated needles and blood products) and rabies (spread through the bites of dogs, bats and other mammals). Jordan enjoys a high level of safety, especially with the army control areas close to the borders shared with Iraq, Syria and Israel/Palestine. If you visit any of these areas, it would be best to have your passport on you. Take note that while Jordan is a more liberal country than most of its fellow Arab nations, Islam is the dominant religion, and you will be expected to respect their rules and customs. Make sure to wear modest clothing, especially when visiting religious sites. Refrain from showing any displays of affection in public. For LGBT travellers, the best place to visit would be the capital, Amman, especially the areas around Rainbow Street.